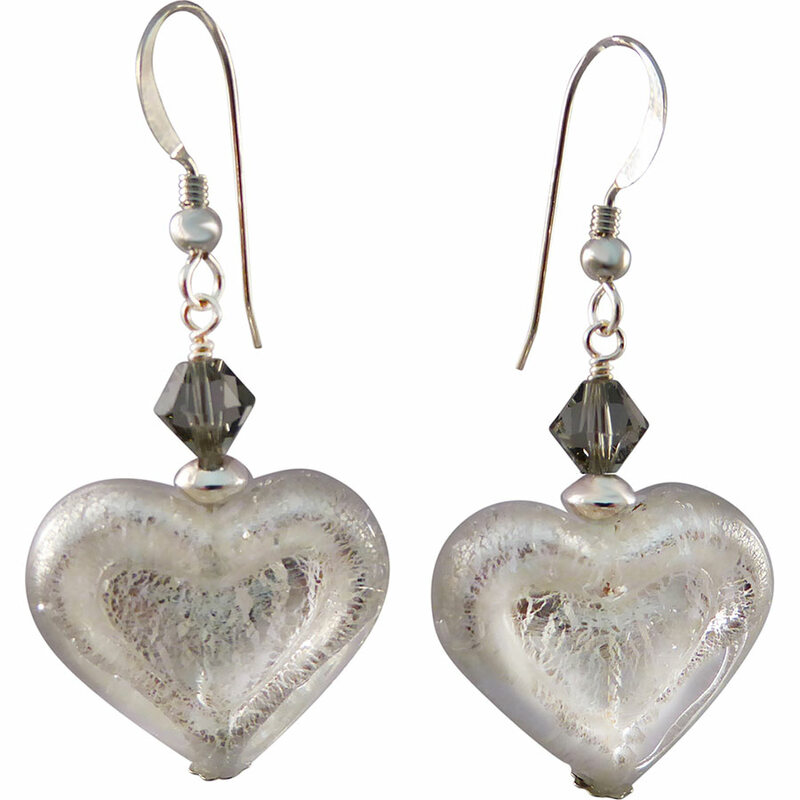 These fashion earrings feature authentic Murano Glass Beads in the shape of a heart with a second heart outlined. They are Clear Glass over White Gold Foil and will go with everything. Sterling Silver Earwires complete these designer earrings. The size is approximately 19mm across and total length of the earring is approximately 1 3/4 inch.